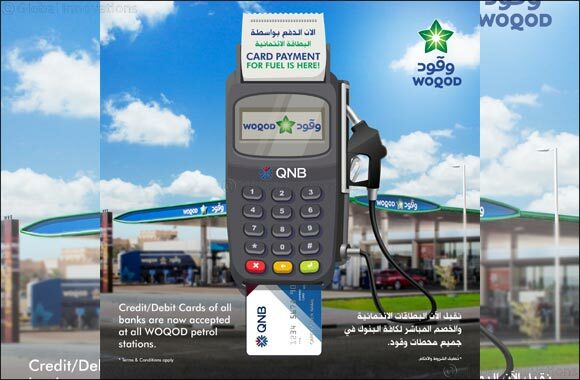 Doha, 31 January 2018: Mr. Saad Rashid Al-Muhannadi, the Chief Executive Officer (CEO) of WOQOD, stated that as part of WOQOD’s commitment to provide outstanding services to its customers across the country and deliver payment facilitation, customers could now make fuel payment at WOQOD stations by using their bank debit and credit cards from 1st February, 2018. This new WOQOD POS card service will provide convenience and better fueling experience to customers at all WOQOD stations. WOQOD’s CEO, Mr. Saad Rashid Al-Muhannadi, also stated “This card payment solution initiative comes in line with WOQOD’s ongoing efforts to emphasize its market leadership in innovative services and meeting customer’s expectations. We are excited to collaborate with QNB, as our strategic partnership will provide a broader range of customers with industry-leading services and deliver hassle free and quick service at WOQOD stations“. Mr. Muhannadi also stated that in the near future WOQOD is planning to add many petrol stations in the country, to serve the increasing demand. WOQOD stations also offer exceptional services like auto care, auto wash facilities and SIDRA convenient stores to better cater to customer requirements.